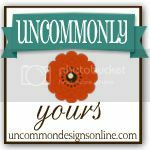 Welcome to our “Uncommonly Yours” link party! This is the highlight of our week and we are so inspired by all of you who link up! Welcome back! This Valentine idea by Delightfully Noted is perfect for the cook in your life! Fox Hollow Cottage shared this fab felt flower tutorial and you should also check out her pretty Valentine’s mantel! Hating Martha made these adorable felted wool heart earrings. Shabby Love crafted this amazing kids pallet art table. 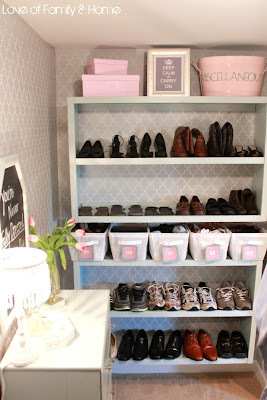 Tonya at Love of Family and Home revealed her stunning master bedroom closet. 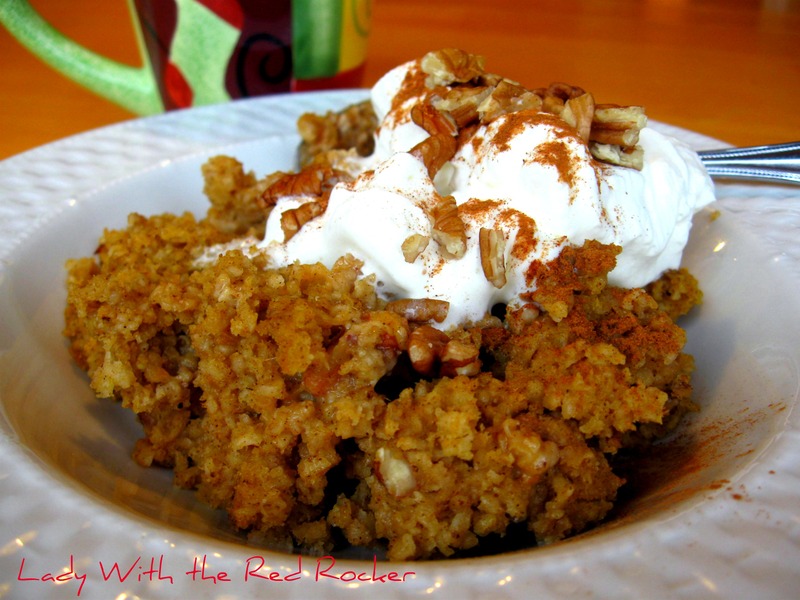 Finally, Lady With the Red Rocker had us drooling over her pumpkin baked oatmeal. Thanks to all of you guys for sharing your amazing projects with us! Please grab a button to show that you have been featured! If you would like to “pin” any of these features, please do so by visiting the individual blogs and pinning from there to give credit to the original source! Thanks! * Link projects and ideas that you have created! Please link up projects and ideas that you have not linked up previously! *Please Follow Uncommon – Google Friend Connect is on the sidebar! You too! We linked up a littler earlier over at your place! I am so jealous of your table….there… I said it! It is gorgeous! Thanks for joining us again! Wow…you featured my earrings! Thank you so much! It was our pleasure! I tried felting wool this week for the first time. We’ll see how the project turns out! Thanks for sharing with us each week! That sounds like a great plan! I may have to do that myself! Thanks for hosting. I love the inspiration that comes here each week! I have to say we have some pretty awesome projects so far! Take care! THANKS Bonnie and Trish. So love your fun linky. Appreciate you hosting. Am so excited to be included in the features. You both are too sweet!! You are so welcome! Your mantel was just amazing! You are so welcome. I can’t wait to try the oatmeal! How fun. So many creative people – this is great. (I’m having a bit of trouble adding your button, but I’ve linked to you in my post.) Happy Wednesday. Thank you!! I think I have it fixed now….spell check garbled it up!! !